The ETF is the European region of the International Transport Workers’ Federation, which represents over 19 million workers around the world. 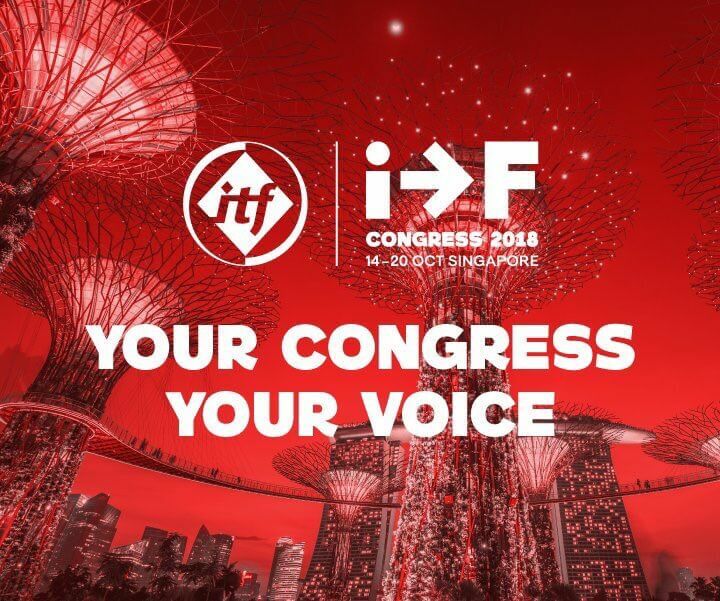 On 14-20 October more than 2000 delegates from the ITF’s global network of affilates will meet in Singapore for the ITF’s Congress. Of course the ETF and many of our affiliates will also be present! We will be meeting with international colleagues in conferences about the various transport sectors, as well as women and young workers. There is also a specific meeting for European delegates, where we will be planning the next steps of the Fair Transport Europe Campaign.